⚠️ The integration is still in beta phase: feedbacks are welcome! ⚠️ You'll need a 1password.com account. Click the Accounts icon, then select your account. Choose Accounts and select your account. 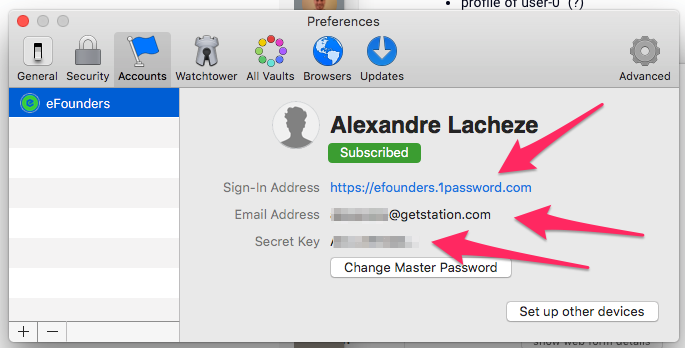 To use 1Password in Station, you need to link a Station application with credentials stored in 1Password. Next time you open this application, it'll be logged-in automatically. 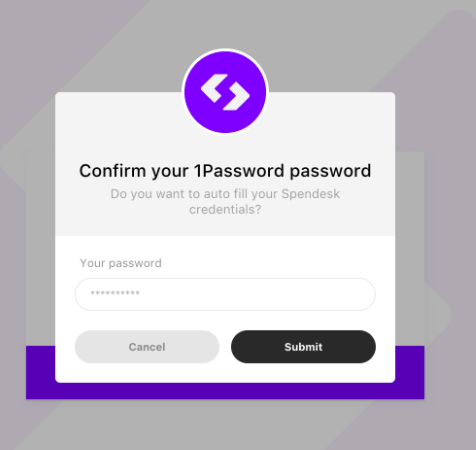 On the application login form, a banner appears at the bottom of the window: click on "Connect 1Password"
Select credentials based on the application name. You can also search trough all your vaults. 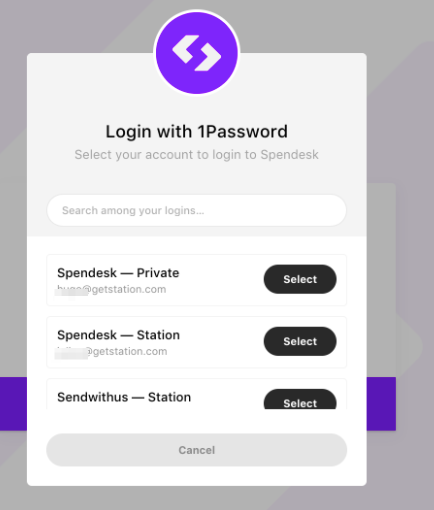 Select the desired login, we will retrieve it from you vault for auto fill the login form and store the link between the application and the login identifier in your vault. For security reasons, 1Password sessions expires after 30 minutes. You might be prompted to re-enter your master password to unlock the vault. 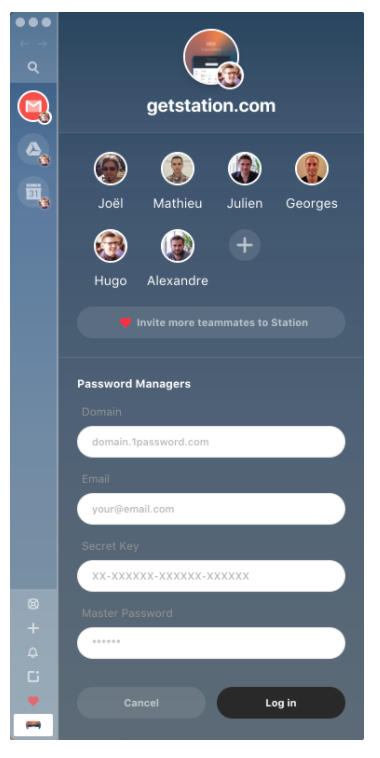 Click on "Unlink from 1Password"